Gait analysis is the study of the way in which a person walks or runs. By analyzing a person’s gait, you can determine whether that person has a problem or abnormality in the joints or muscles. If a person’s muscles are unable to provide the support necessary for proper movement — or the joints don’t have the normal range of motion — overcompensation could lead to further injury. A doctor such as a podiatrist typically performs gait analysis. With proper equipment and training, though, any professional with experience in sports medicine can analyze an athlete’s gait. The professional performing the analysis will have the patient walk or run on a treadmill. The analysis involves careful examination of the patient’s hips, knees, ankles and feet — sometimes with the aid of a video recorder. 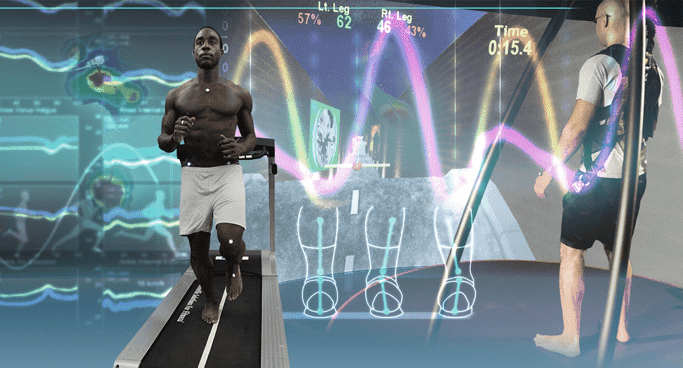 Gait analysis professionals often use computers to slow down or freeze the video for closer examination. Do you think that you might have an abnormal gait? Examining the wear pattern on a well-used pair of shoes can help. If the wear on the bottom of the shoe is far from the center of the heel, you may pronate or supinate. We can understand the gait more fully by analyzing its two components: the stance and the swing. The foot touches the ground during the stance. It does not touch the ground during the swing. When the athlete walks, he or she spends more time in the stance than in the swing. During running, however, the swing phase is the longer of the two. The swing phase becomes longer as the athlete runs more quickly. After gait analysis identifies the abnormality in an athlete’s gait pattern, a professional can help the athlete determine the next course of action. In some cases, therapy is necessary to correct an abnormal gait. In most cases, though, orthotic inserts or corrective footwear can correct gait issues.